Learn how to ride by taking lessons with us! Once you become a WI Union member, you can use your member number to sign up for the Hoofer Riding Club. If it is your first time buying a club membership, please come in to the Outdoor UW office, located in the lower level of the Memorial Union, just off the lake. If you are renewing your membership, you can sign up online at https://members.hoofers.org. 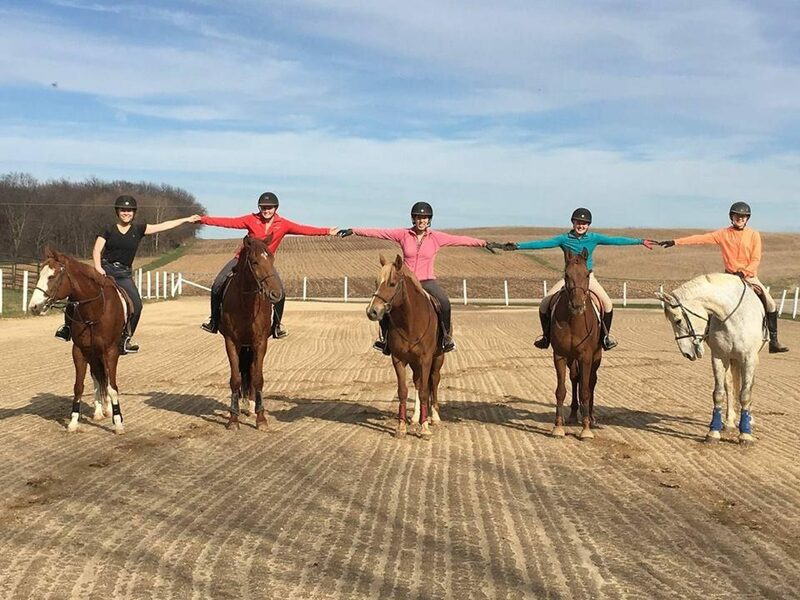 After this, email ridinglessons@hoofers.org to set up the times for lessons you would like to take! The Hoofer Riding Club offers affordable lessons for beginner and intermediate/advanced riders on the flat and over fences. Our group lessons are limited to 5 riders, and students may schedule semi-private or private lessons for even more individualized attention. Group, semi-private, and private lessons are offered in monthly sessions. Sign up for lessons here!